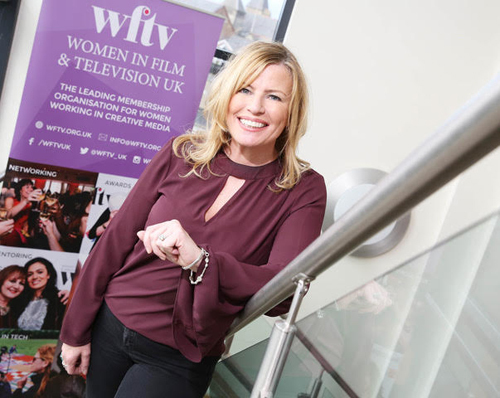 National campaigning organisation, Women in Film and TV UK (WFTV), has now launched a Northern Ireland network WFTV NI which will be chaired by Jannine Waddell, Managing Director of Waddell Media. WFTV is the leading membership organisation for women working in creative media in the UK and part of an international network of more than 13,000 women. Members come from a broad range of professions spanning the entire creative-media industry. WFTV campaign for women’s interests in the industry as well as hosting a variety of events throughout the year. Current campaign involvements include #MeToo, which was set up on social media to help demonstrate the widespread prevalence of sexual assault and harassment in the workplace, Gender Pay Equality, and Time’s Up, which is a unified call for change from women working in entertainment for women everywhere. Jannine Waddell, Chair of WFTV NI said: “This is a wonderful opportunity for women working in the growing creative industry sector in Northern Ireland to come together as one voice and make that voice heard under the auspices of a hugely respected national organisation. Kate Kinninmont MBE, CEO of WFTV UK: “We are delighted to launch a branch of WFTV in Northern Ireland. This is such a great time of growth in the industry in Northern Ireland, and I know that Jannine Waddell and her committee of high-powered women have plenty of terrific ideas for the way ahead”. In Northern Ireland, events planned include: a one to one with Bernie Caulfield, Executive Producer of Game of Thrones, workshops on funding opportunities within the sector and demystifying post production work flow. WFTV NI will also host a workshop with Deborah Riley, the award winning Production Designer behind HBO’s “Game of Thrones” visual world, at The Black Box on Tuesday 22 May at 7pm. Further information on the event, including registration details, can be found here.